A movement for the unification of Romania and Moldova began in both countries after the 1989 Romanian Revolution and the glasnost policy in the Soviet Union. Individuals who are advocates of this movement are usually called Unionişti or Unionists. In Moldova, those against the movement are called Moldovenişti or Moldovenists . 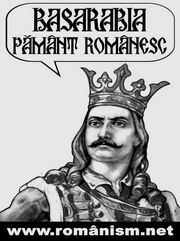 The difference between this type of unionism and the irredentism which characterizes the Greater Romania Party is that the latter totally ignore Romania's international commitments by calling for a return of territories which go beyond the border of either Romania and Moldova and which are only remotely inhabited by Romanians. By contrast, unionists limit themselves to the peaceful reunification of the two states only. Bessarabia has been traditionally part of the Principality of Moldavia until it was annexed by the Russian Empire in 1812. During the Russian Revolution of 1917, it declared its independence and its representative council (Sfatul Ţării) voted for union with Romania in 1918. During World War II, the Soviet Union occupied the region organizing it in the Moldavian SSR. The Soviets began a campaign to create a Moldovan ethnic identity (Moldovenism) different from that of the Romanians, whom they described as "capitalist oppressors". In September 1989, with the liberalization in the Soviet Union, the Moldavian SSR Parliament declared Moldovan to be the official language and asserted the real existence of a "linguistic Moldo-Romanian identity". On 6 May 1990, Romania and the Moldavian SSR lifted restrictions on travel between the two territories, and hundreds of thousands of people crossed the Prut River which marked their common border. At the time, it was widely expected in both countries that they would soon be united; however the pro-Moscow politics of Romanian president Ion Iliescu made both sides more cautious and delayed a strengthening of the ties. In his address to the Romanian parliament, in February 1991, Mircea Snegur, the Moldovan president, spoke of a common identity of Moldovans and Romanians, referring to the "Romanians of both sides of the Prut River" and "Sacred Romanian lands occupied by the Soviets". In June 1991, Snegur talked about Moldova moving toward the reunification with Romania, adding that the USSR is not making great efforts to stop it. However, soon afterward, within the Moldovan Popular Front, there was a disagreement over the issue of the union with Romania, which resulted in a separation of Mircea Snegur's group in October 1991. While many Moldovan writers and intellectuals supported the union and wanted a "reunion with the Romanian motherland", there was little popular support, with more than 70% of the Moldovans rejecting it, according to some 1992 polls. Nevertheless, Transnistria used the movement for unification with Romania as a pretext for declaring its independence. The initial enthusiasm in Moldova was tempered and from 1993 Moldova started distancing itself from Romania. The constitution adopted in 1994 used the term "Moldovan language" instead of "Romanian" and changed the national anthem to Limba noastră. 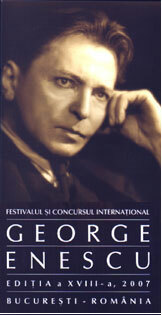 The 1996 attempt by Moldovan president Mircea Snegur to change the official language to "Romanian" was dismissed by the Moldovan Parliament as "promoting Romanian expansionism". A "Concept on National Policy" was adopted in 2003, which is very similar to the Soviet era Moldovenism, by proclaiming that Moldovans (speaking the Moldovan language) are a people different from the Romanians, who are described as an ethnic minority in Moldova. Until recently, a union between Romania and Moldova was deemed unlikely, owing to a lack of interest in both countries. In Romania, while most political parties give mild support to the concept, at least in theory, unification would most probably be a burden on the Romanian economy, considering that Moldova is currently the poorest country in Europe. Additionally, Romania joined the European Union in 2007, and while the country has recently supported Moldova in its foreign policy, many political analysts question Moldova's political preparedness and whether it has made sufficient progress towards unification. From the point of view of the Transnistrian government, due political necessity, any Moldovan unification with Romania could only include the part of Moldova which extends to the Dniester river. On the other side of the river, Transnistria would not agree to be part of any union with Romania. Statements from Transnistrian officials support unification of Romania and Moldova as long as Transnistria is not included. In pre-2005 Moldova, apart from the newly created Unionist Movement of the Republic of Moldova, only the Christian-Democratic People's Party actively supported unification. However, the stance of the Christian-Democrats has become questionable due to their post-2005 collaboration with the Moldovan Communists. Due to this change in Moldovan politics, a new party, the National Liberal Party( Partidul National Liberal), mirroring the party with the same name in Romania, has been created which also calls for a loose union with Romania and integration within the EU . Nevertheless, starting with the year 2004, after the Belkovski Plan, discussions concerning the unification are on the increase . 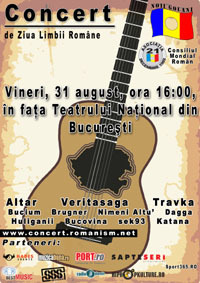 In 2004, the Romanian newspaper Ziua published a series of articles claiming that a senior Russian diplomat proposed to the Romanian government a plan that he claimed "came from president Putin himself", which would leave the west bank of Moldova in Romania in exchange for a Romanian recognition of Transnistrian independence. Russian president Putin has neither confirmed nor denied the statements of the Romanian newspaper. Nevertheless, Romanian journalists and scholars immediately dismissed the plan since it would not address the question of the city of Tighina which is under Transnistrian control yet in Moldova proper, nor would this address the question of how Russia would manage to convince Moldova, a sovereign and independent state, to join a political union with Romania. In January 2006, the Romanian president, Traian Băsescu declared that he strongly supports the Moldovan bid for joining the European Union and that "Romania's minimal policy is that the unification of the Romanian nation would be done within the EU". Interpretations of the word "minimal policy" have led some to believe that the current Romanian administration also has a maximal policy to formally unite the two countries. According to a March 2006 poll in Romania, 51% of Romanians support a union with Moldova, 27% are against, and another 10% declined to answer. Also, of those supporting the union, 28% support a union with Moldova, including Transnistria, while the rest of 16% support a union without Transnistria. In the autumn of 2006, the Unionist movement has gained some momentum as the subject was more regularly discussed in prominent Romanian language newspapers and as many Moldovans have applied for Romanian passports in August and September of 2006, alone. Meanwhile, between 1991 and 2006, 95,000 Moldovans have obtained Romanian citizenship . According to Romanian president Traian Băsescu, by the end of 2006, 530,000 demands from Moldovan citizens have been written, requesting Romanian citizenship . Băsescu has also mentioned that the real number is higher as many of these demands are signed by not just one person but in many cases by entire families . In a subsequent televised interview, Băsescu further explained that so far, based on the over 500,000 demands, about 800,000 Moldovans have requested Romanian citizenship and that it is estimated that by the end of 2007, this number will increase to 1,500,000, which is almost 50% of Moldova's population. . However, it is important to note that requesting Romanian citizenship does not automatically infer one's Unionist view. Hence, it is unclear whether the relationship between the citizenship demands and Unionism is a strong one or whether there are other causes for Moldovans seeking Romanian citizenship. In 2007, the President of Moldova, Vladimir Voronin, declared in an interview that the two languages are identical, but said that Moldovans should have the right to call their language for Moldovan. Oleg Serebrean, the leader of the political party Social-Liberal, declared that if the Moldovans and the Romanians decided to unite, neither USA, nor Russia, could put a stop to such a union.